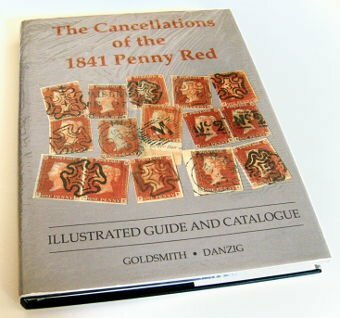 When Robert Danzig and David Goldsmith published this detailed study devoted entirely to the identification and recognition of the different cancellations of the 1841 Penny Red it was the first of its kind and remains today the definitive reference work in this specialised field. Published in 1991 in the year of the 150th anniversary of the first appearance of the Penny Red, the book provides an excellent overview of the entire career of the stamp from its initial 'black plate' printings through to examples of its use way beyond the final printings of 1853 – the final example in the book is dated 21st March, 1906! With over 300 photographs, maps and diagrams illustrating examples of even the most obscure cancellations such as the rare Manchester cancellation of the 1950s, the 'Middleton 8', the book is an indispensable guide to the identification of stamp cancellations. The bulk of the book is devoted to Maltese Cross cancellations with clear illustrations for all distinctive local crosses and varieties and extra details where identification may be tricky, as in the Type I or Type II Dublin Maltese Cross. There are also expanded sections on 'London Numbers in the Maltese Cross' and the 'Colours of the Maltese Cross'. The extensive catalogue section with over 1000 entries is still a useful point of reference for dates of use and comparative scarcity of individual cancellations although the stamp values are obviously those of 1991 if you are using a first edition. A highly recommended book if you can track this one down!